shoot I'm not a sir, I work Cattle for a living.. Seriously everyone, Call me David Banner... I mean Steve. I'm a laid back guy. Seriously though, I like this project. anything to keep Models new and refreshing, is more Worthy then just a sticky. The work you do for laimens like me, is supurb. HEck Ipurchesed DS2 just Because Rick was one of the graphic guys on that game. Man I miss P81. Of the one's you posted, MP, I'd have to say I'd like to see the Baker class the most. Of course, I'm a TOS whore. You know, now that I'm looking at the States class, it looks as if some of the battle cruisers released for the TMP era could be used for the most part, just swapping out the nacelles with those from the Excelsior. Bro, you are a modelling machine I'm kinda hoping Sandman takes a liking to that one, his style of texturing would totally smoke the Mann Class. So now we have some of these models ready for clothing......anyone willing to hook up some textures ? I don't know if you remember but awhile back during one of our PM's I had asked ya if you could bash up that ship. I had looked at it and thought the same thing too . BTW I found another vague reference to another Connie sub-class if you're interested and I think I found a design that could fit the bill. I remember talking about that with you, but at the time, and still now to an extent, I couldn't have done the bash with my skills, but fortunately the majority of the work someone else has done. But I didn't say I would do this bash this time. hehehehe And give me the details about that Connie sub-class. 50/50 chance I'll be able to do it, cause I have a feeling she'll need new pieces I can't make. These two should be cake..... just a simple nacelle adjustment. Federation starship, Starfleet registry NCC-1812. (Technical Manual [Franz Joseph TOS]). This vessel is listed as one of dozens of future Constitution-class variants starships. A model like this was seen in Leah Brahms's office in TNG: "Booby Trap". 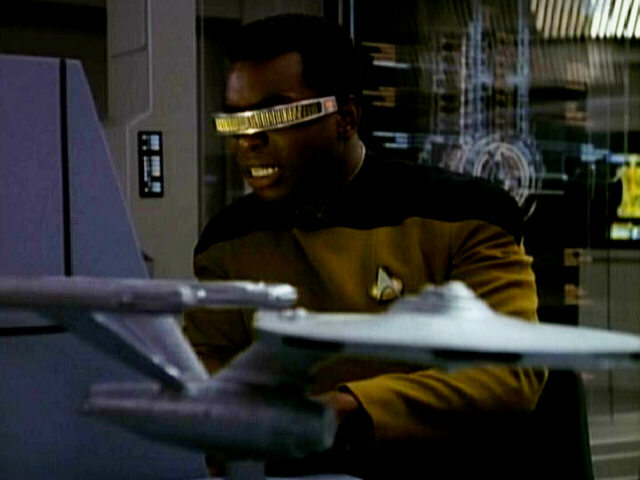 A still different slight variant had previously appeared in TNG: "The Neutral Zone", with the nacelle top sides facing outward and the rear end facing forward. Federation starship, Starfleet registry NCC-1781. (Technical Manual [Franz Joseph TOS]). This vessel is listed as one of dozens of future Constitution-class variants. Federation starship, a cruiser type vessel, Starfleet registry NCC-1741. In 2289 the Alfr went on an exploratory cruise, in the company of the starships Atalanti, Noshiro and Essahir. (Technical Manual [Franz Joseph TOS]; Ships of the Star Fleet). This vessel is listed as one of dozens of future Constitution-class variants. SO there ya have 4 ships and 2 new varients . I can get you more registries if you're interested. What would be nice is to have access to the images. I click on the links but I get this image saying that the bandwidth has been exceeded. 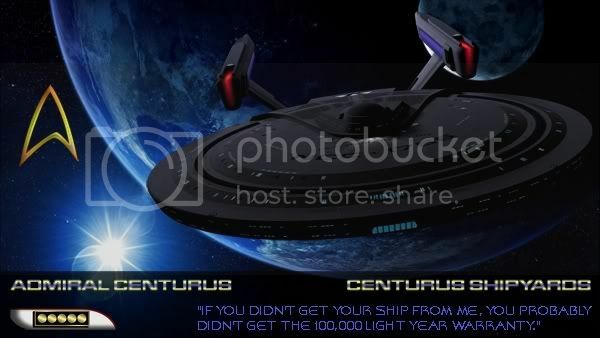 If these ships are for the TOS era, then perhaps they could have been a small fleet of refit Connies, a transition between the TOS version and TMP version. It could work. Just need a basis to work from. There's already a ship that could work well for this project. When are you gonna get back on messenger MP? Cut and paste the links into your search bar and you should see the pics. These are late TMP ships. I have AOL right now if you have AIM or d/l it we can chat until I get my MSN back. 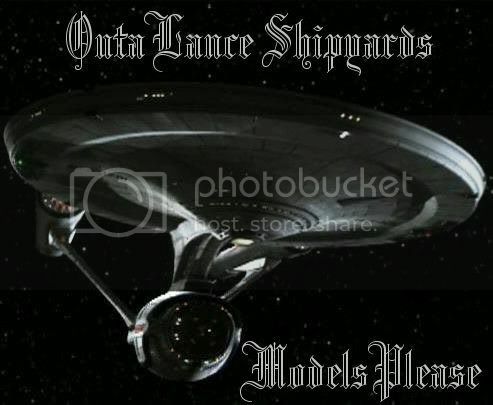 Yes I see that there is one model out there that can be used for the first varient, and bashing that ship IE flipping the nacelles will create the other varient. about done with the warbird whatnot. just need to sober up. might take a day or two. The images you provided have already been done. The Invincible, a Connie variant, is this exact same ship. She can currently be found on battleclinic, and we also use her in the GAW mod. For the last GAW camp, several of our ships, including this one, received colored lightmaps,which enhance the look of these ships greatly. :-D I may or may not be able to make registries for her though. It all depends if I have access to a set of blanks. What possible reason could there be for putting the warp nacelles on bass-ackwards? Page created in 0.64 seconds with 31 queries.